With coffee roasters, bakers, beekeepers and distillers working alongside young chefs and enterprising restaurateurs, Glasgow’s food scene is vibrant, exciting and diverse. 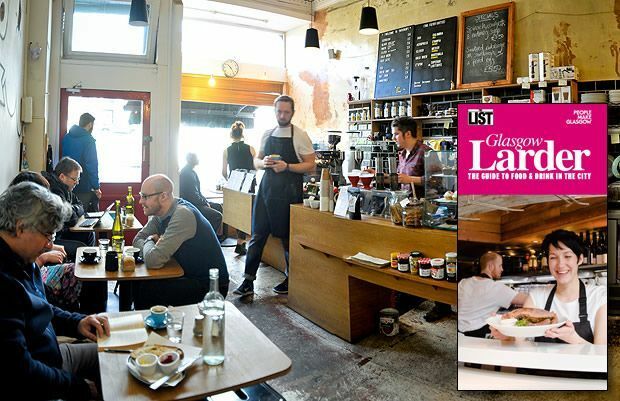 Published in 2015, the Glasgow Larder captures the energetic contemporary food scene in stories, images, tips and insights, helping you to discover the flavours of the city and its most compelling food shops, cafés, restaurants and venues. And you can follow the links to lots of other useful tips and recommendations for places to eat and drink across the city. The Glasgow Larder helps you discover the flavours of the city, its culinary influences and current trends, with features showcasing the city and its food and drink landscape. What's in the Glasgow Larder? From sourdoughs to soft rolls, with some fine patiserrie along the way, the city’s independent and artisan baking scene is in fine health. Glasgow has a strong tradition of great fish restaurants, and these days they're offering more of the ocean’s lesser-known offerings. Discover how Glasgow's growing reputation for animal-free dining is intertwined with the city’s music scene. A fast-moving local craft beer scene embraces ambitious collaborations, Barvarian brew-pubs and small-scale, locally produced ales. From delis to butchers and food and drink specialists, we cover all the best local food shops. Our comprehensive listings and independent reviews of the city's best cafés, bistros and restaurants. The Glasgow Larder project has been developed by The List working in partnership with the Glasgow Tourism & Events Leadership Group with funding support from Scottish Enterprise. Get all the fresh ingredients you need to cook 5* gourmet pasta delivered to you.